Auto insurance provides comfort and protection from one of the biggest expenses most families ever pay – buying a car. Second only to mortgages, some people actually spend more on their cars than they do on their homes. Despite advanced safety equipment, car accidents continue to plague the United States. Your auto insurance provider can work seamlessly as a partner in your financial strategy by providing various levels of coverage and deductibles to prevent catastrophic financial hits when your car is damaged or stolen or when you accidentally damage property or cause an injury. In many cases, the law requires maintaining certain levels of coverage for the privilege of driving. However, you can use different insurance coverage options to replace your car if stolen or totaled, repair collision damage with little or no out-of-pocket expense, fix your vehicle after sustaining weather or fire damage and dry out your car if it gets caught in a flood. The four biggest auto insurance companies – State Farm, Geico, Allstate and Progressive – offer differing levels of protection, discounts and costs, so it’s important to compare prices and coverage to find the best deal for your needs. Many factors affect how insurance companies spread the financial risk among its auto policyholders. People who live in urban areas generally have higher rates of theft, vandalism, and fender benders, so insurance premiums are higher than in rural settings regardless of the type of coverage you get. Age, driving record, and gender can also impact your insurance premiums. 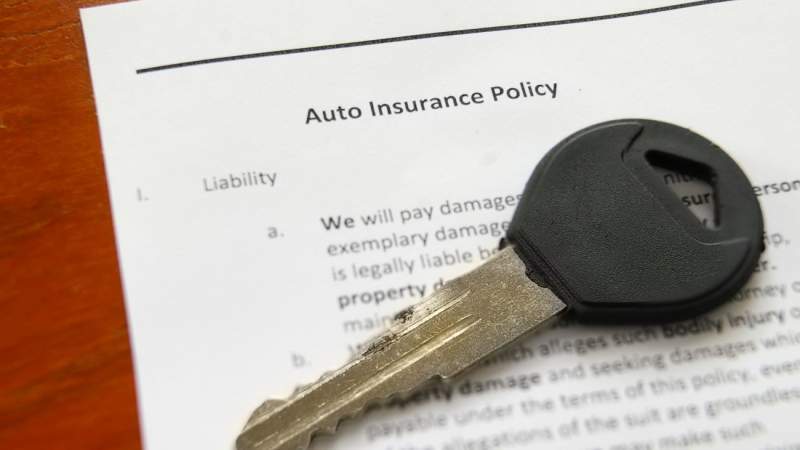 State Farm and Geico are the largest two auto insurers in the United States, so comparing their prices and coverage options is usually the first step when shopping for auto insurance. However, there are other factors that you might want to consider such as the ease of filing a claim, the speed with which claims are settled, and the company’s customer service reputation. State Farm was founded in 1922 and is the world’s largest auto insurance company. A local representative to help you buy a policy. They offer a Personal Injury Protection plan that covers you or another authorized driver for medical expenses, lost wages, pain and suffering, and special damages. Comprehensive coverage protects your vehicle for damages and losses due to floods, hail, fire, theft, hitting an animal, acts of vandalism, and high winds. Geico usually offers the best prices of the four top auto insurers according to a report posted at Nerdwallet.com. Geico also gets the highest marks for customer satisfaction. However, it’s critical to compare prices in your own area because the premium rates fluctuate tremendously based on your location and other underwriting factors. Good drivers might get the best rate at one company while drivers with a few problems could save more somewhere else. Geico offers accident forgiveness except in California, Connecticut and Maine. Customers award Geico a 97-percent customer satisfaction rate. Geico offers military discounts, discounts for drivers over the age of 50, student discounts, federal employee discounts, and an app that finds the cheapest gas stations. Allstate came close to tying Geico for the lowest rates and highest customer satisfaction rates. Allstate wins top honors for its apps and technology, which make it easier to use your insurance. You can get damage appraisals by sending photos and videos without scheduling an in-person inspection. This is a tremendous benefit for busy drivers. Allstate also integrates seamlessly with the Alexa App so that you can get voice-demand assistance instantly. Progressive offers the best range of products and services of the big four auto insurers according to the Nerwallet.com report. The only service that Progressive doesn’t offer is a “new or better car” replacement option. Policyholders at Progressive can use their smartphones as their insurance cards, so you never need to hunt for proof of insurance. Progressive provides liability coverage for everyone on your policy and covers legal fees if you’re sued. If you’re injured, Progressive provides uninsured and underinsured coverage, post-accident medical care and even lost wages during recovery from your injuries. Collision coverage protects your car from damages caused by an accident. You choose your deductible, which you pay out-of-pocket, and the rest is covered. Gap insurance covers loan or lease payoffs if your car is declared a total loss, and the insurance will pay up to 25 percent more than the cash value of your car. Roadside assistance coverage applies to break downs, dead batteries, flat tires and lockouts.